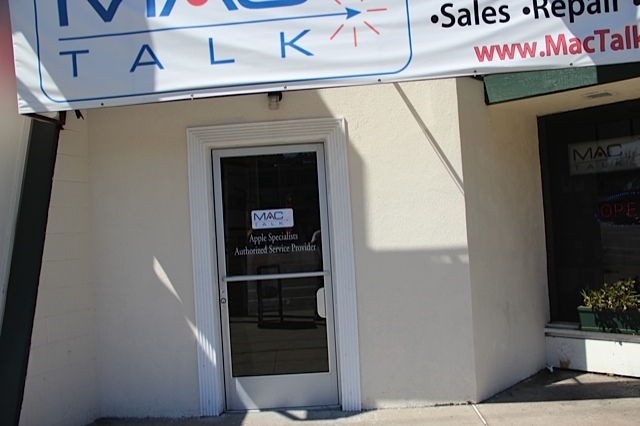 Mac Talk Woodland Hills, is officially closed and out of business as customers have noticed since april 15th, 2015. as far as I know they were local apple authorized computer repair place and would service repairs of local apple customers. they have moved from their previous location to this one about 6 months ago and now closed doors completely. so if you are looking for mac talk in woodland hills and can not find them – they are closed officially now. we do however service most apple devices like macbooks, macbook pros, imacs, mac towers, ipads, iphones and ipods as well. no matter how old and what the damage. we can fix them all and do it pretty quickly usually the same day or overnight or sometime longer on macbook water damage repairs- those can take up to a week sometimes.